The fluffy cow. It’s not the name of a Monty Python skit. It’s the latest breed of cattle to go viral on the Internet (see also: the Emo Cow of the late aughts). 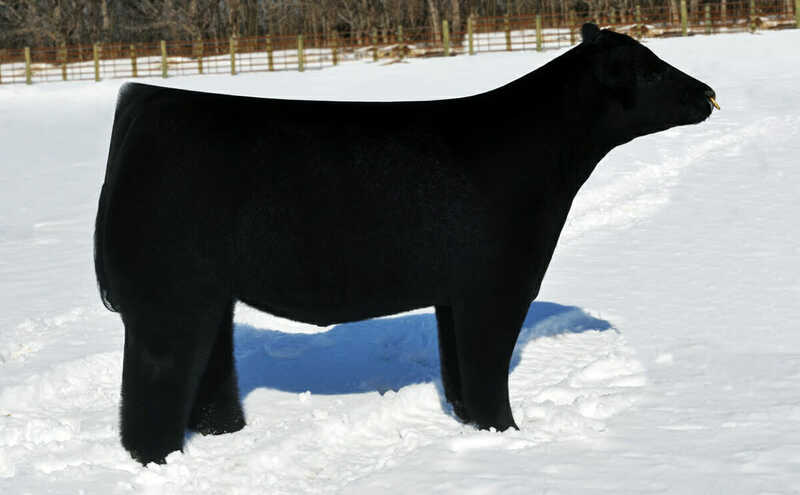 After someone posted photos of the cows – an Iowa cross-breed bred specifically for competition – to Reddit earlier this week, viewers swooned over their coats, which are blow-dried and treated with special oils to attain their beautiful sheen and fluffy texture. True to its name, the mulefoot is distinguished in part by its solid, non-cloven hooves. 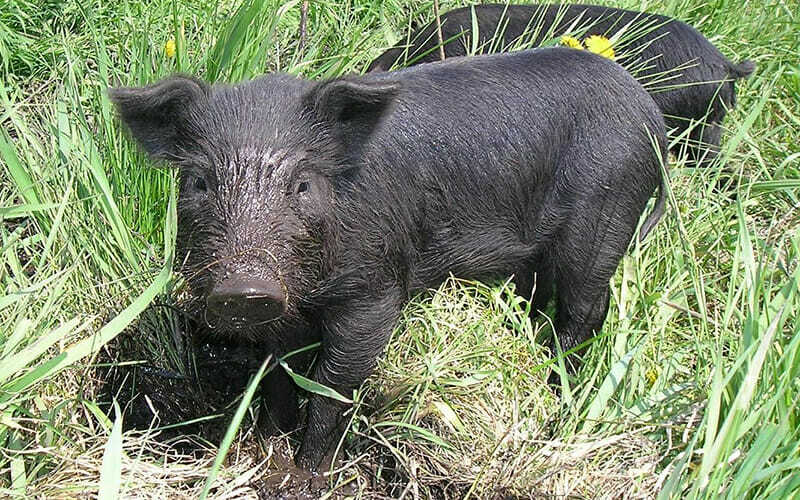 Although the exact origin of the black, compact hogs is unknown, they’re thought to be descendents of the Spanish hogs brought to the Americas in the early 1500s. By 1900, the breed had become standardized, and was prized for how easy it was to fatten; mulefoot lard, hams, and meat were common delicacies. Because their solid hooves made them immune to hoof rot, they did well in wet areas, and were common along the Mississippi River Valley and throughout the so-called Corn Belt; in the early 20th century there were more than 200 herds registering purebred stock, and two breed associations. Today, however, the hogs are incredibly rare: it’s estimated there are fewer than 200 of them, almost all of which are descended from a single Missouri herd that’s said to be the last purebred herd in existence. Possibly the only thing cuter than a baby goat is a miniature baby goat, making the Nigerian dwarf a particularly winsome breed. 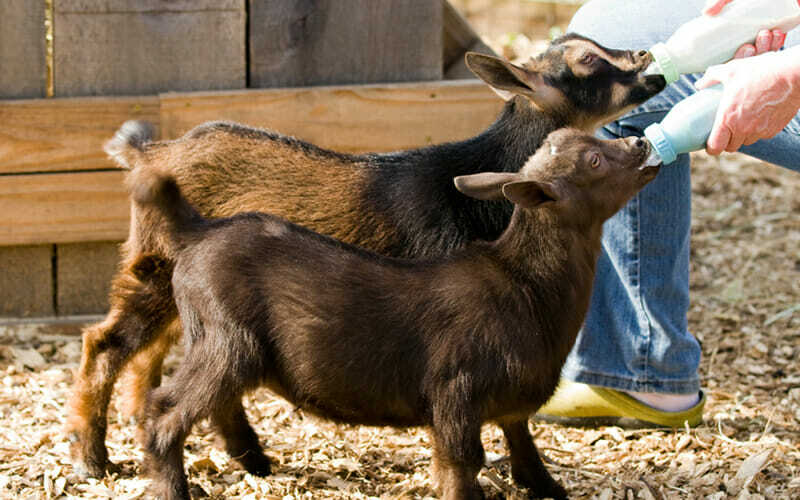 Along with the related Pygmy goats, Nigerian Dwarfs originated in the herds of small goats that were imported from Africa to the U.S. between the 1930s and 1950s. Although they were initially exhibited in zoos, their diminutive size made them popular as companion animals; in 1976, the Pygmy breed was recognized by the American Goat Society. Since then, the numbers of Nigerian Dwarf have increased significantly, thanks to its gentle disposition, hardiness, and size: in 2002, there were nearly 7,000 purebred animals registered. 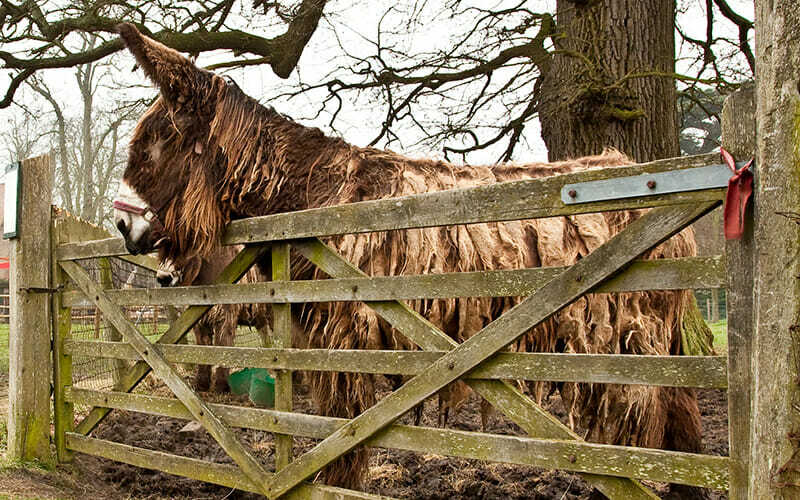 Shaggy, tall, and brown or black, Poitous have coats that could rival those of a fluffy cow for beauty and upkeep: they’ve been known to hang in dreadlocks from the animal’s body. The Poitou originated several centuries ago in the French region of the same name and was bred for riding and work. Because the breeding stock occupied such a limited area, it nearly went extinct after World War II, when demand for mules collapsed; by 1980, there were fewer than 80 documented. Fortunately, several French organizations formed in the late 20th century to protect the breed; by 2005, there were 450 purebreds registered in the studbook. Today, you can buy them from breeders like this one in Georgia; the babies, incidentally, look like stuffed animals. 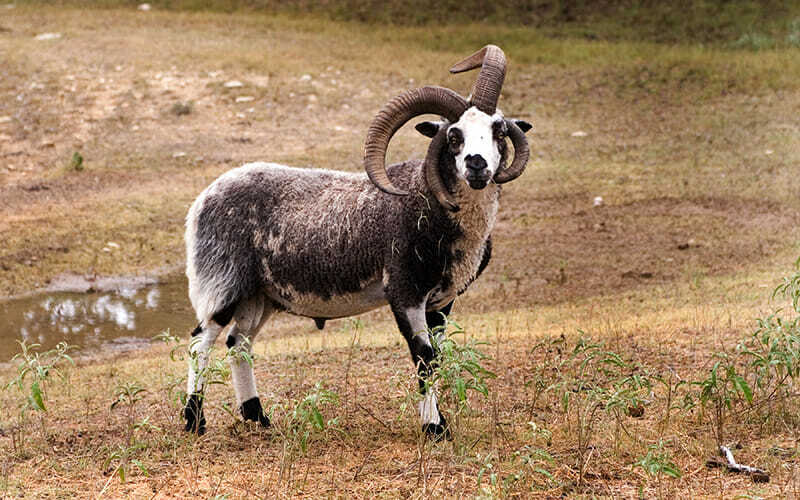 Between its black and white spots and two to six horns, the Jacob is one of the more distinctive members of the livestock canon. The breed, which has ancient roots in the Middle and Far East and Mediterranean, was popular in England during the 1700s, when it was used essentially as park decoration, and was first imported to North America in the mid-1900s. Most of today’s Jacob sheep population is descended from imports over the last 30 years; the animal’s soft and springy fleece makes it particularly popular with handspinners and weavers. The breed is listed as “threatened” – it has fewer than 1,000 annual domestic registrations, and the global population is estimated to be less than 5,000.